Shantz's professional career proceeded in five steps: instructorships at several colleges and universities, eighteen years working for the USDA, a short stint as botany department head at the University of Illinois, eight years as president of the University of Arizona, and eight years as first director of the Division of Wildlife Management of the U. S. Forest Service. But even then he didn't really retire, taking on a series of consulting jobs and eventually literally dying in the field at the age of eighty-two. 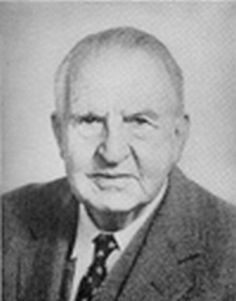 Shantz was originally trained as a botanist (he took an early interest in plant physiology, especially as related to drought resistance in crops), but much of his work had a strong geographical emphasis. He became immersed in regional studies in Africa and the U. S., publishing a number of (usually) plant geography-or climatology-related works making use of various descriptive, analytical, classificatory, and cartographic techniques. Shantz was an avid photographer who amassed a collection of thousands of shots from his travels; these came in handy when late in life he undertook several investigations meant to document environmental change by re-shooting sites where photos had been taken years before. --born in Kent County, Michigan, on 24 January 1876. --dies in Rapid City, South Dakota, on 23 June 1958. --Bulletin of the Ecological Society of America, Vol. 44(2) (1963): 59-61. --Geographical Review, Vol. 49(2) (1959): 278-280. --Annals of the Association of American Geographers, Vol. 51(4) (1961): 392-394.